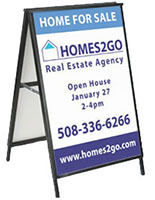 This 24" x 18" folding A frame for real estate sales can be used either indoors or outdoors. 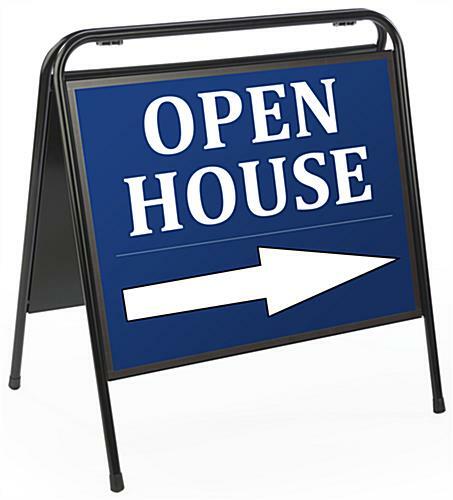 Place the steel sign in front of homes for sale or to promote open houses. 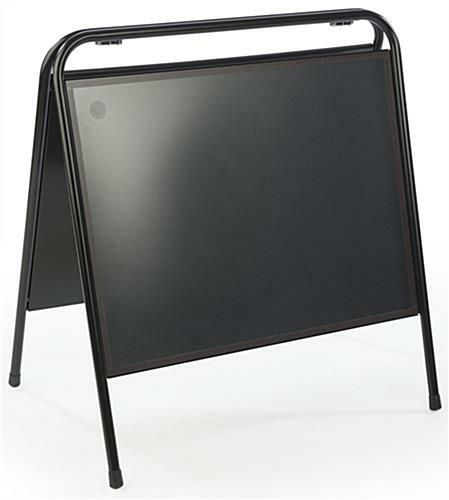 The black folding A frame is lightweight and portable. 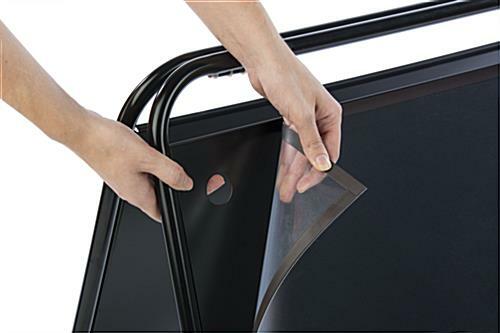 Use the PVC lens to protect your custom graphics. 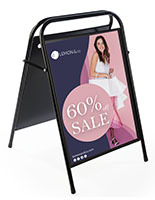 The A frame can be used with magnets for reusable ads and promotions. 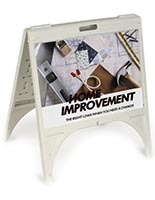 26.5" x 28.0" x 18.8"